Pink Hummus for Valentine's Day | HealthCorps, Inc.
Valentine’s Day is coming soon! Check my blog “Spreading the love on Valentine’s day”. As I just wrote, Valentine’s Day is also a day to celebrate with young children. It is a good occasion to feel more love in the family, between siblings as well as between parents and children. Why not spend some quality time with your children preparing something festive and pink? How about pink hummus? Beet Hummus is a family favorite because it’s super healthy, super easy to prepare and super delicious! Kids love it for its bright color and sweet taste. You just need a food processor or blender and the ingredients listed below and tadaaa! You have a dip full of protein and rich minerals. Watch the children’s amazement when colors blend to create a vibrant pink! 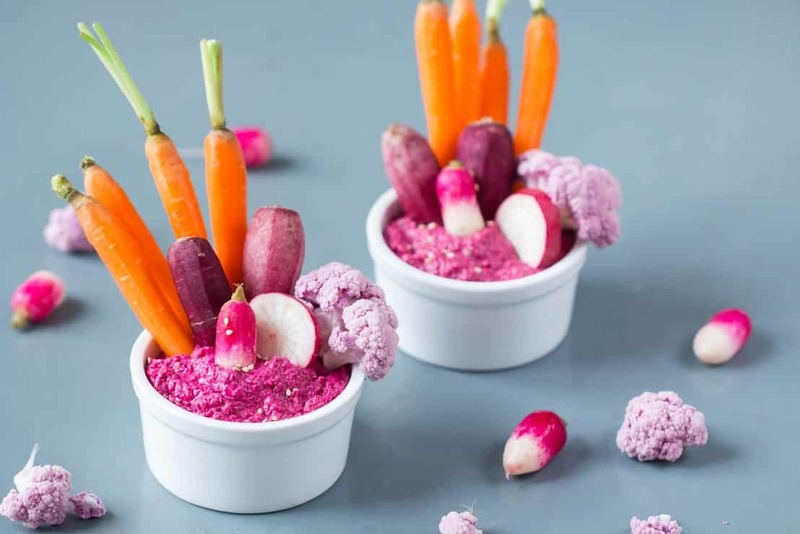 This creamy beet hummus goes great with pita bread, as a dip for raw and crunchy veggies or as a substitute for mayo or mustard on your kids’ sandwiches. Check out more recipes from Delphine here. Place all the ingredients in a food processor or blender (except the olive oil) and blend until smooth. Drizzle in the olive oil as the hummus is blending. Adjust seasonings to taste, add more salt and pepper as desired, lemon juice to brighten, or water to adjust the thickness of the hummus. You may keep the hummus in the fridge for up to 1 week.